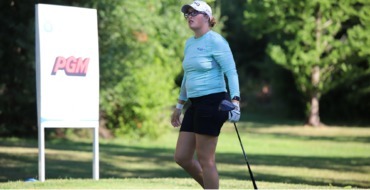 ROCHESTER, N.Y. — Team Canada Young Pro Squad’s Augusta James shot a 71 during the third round of the Danielle Downey Credit Union after two consecutive rounds of 69. The Bath, Ont., talent heads into the final day sharing a piece of sixth at 7 under, separated from the leader by four shots. 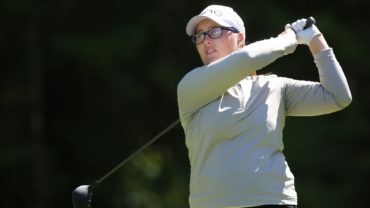 With three rounds complete in the fourth annual Danielle Downey Credit Union Classic at Brook-Lea Country Club, Stephanie Meadow (Jordanstown, Northern Ireland) has separated herself from the rest of the field at 11-under par overall. On moving day in the Empire State, the former four-time First Team All-American performer for the University of Alabama signed a 4-under par scorecard, recording six birdies in the process. The only thing that held her back from an even lower number this afternoon was a double bogey on the par-3 9th hole. It may be the first time in the final pairing for Meadow, but she is no stranger to finding the winner’s circle. In early April, she captured the IOA Championship presented by Morongo Casino Resort & Spa on the first hole of a sudden-death playoff. That experience is something she is sure to use to get her through tomorrow. Meadow will be joined by Jenny Coleman (Rolling Hills Estates, California) in the final pairing off No. 1 tee at 1:10 p.m. ET tomorrow. Furthermore, a group of four individuals sit at 8-under par overall, just three shots back of the lead. 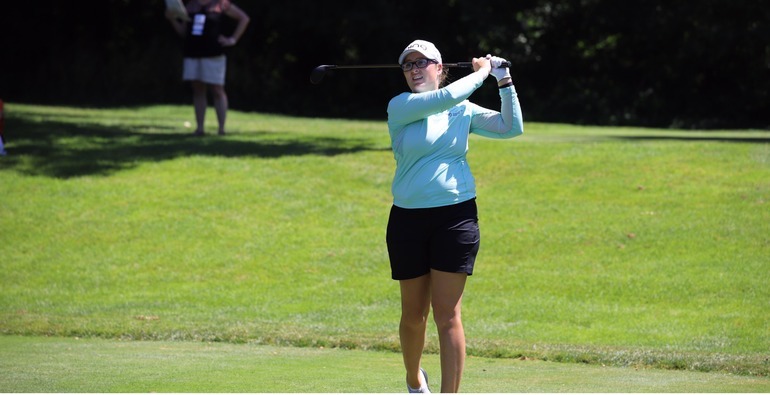 Among them is Natalie Sheary (New Britain, Connecticut), who has put together three consecutive rounds under par for the first time this season. Ranked No. 1 on the Symetra Tour in driving accuracy (88.2 percent) and greens in regulation (84.7 percent) coming into this event, Sheary could be found right back at the range once she left the scoring tent. Hitting 12-of-14 fairways in each of the last two days, as well as 15 greens, has her work ethic wanting more. Final round action picks up tomorrow morning at 7:30 p.m. ET and all pairings will start off No. 1 tee. Entering the third round of the Danielle Downey Credit Union Classic, Jenny Coleman and Marissa Dodd (Allen, Texas) were both tied for 25th at 2-under par, but they launched up the leaderboard with strong efforts today. At separate points during play this afternoon, both players saw their name atop the leaderboard holding a solo advantage. 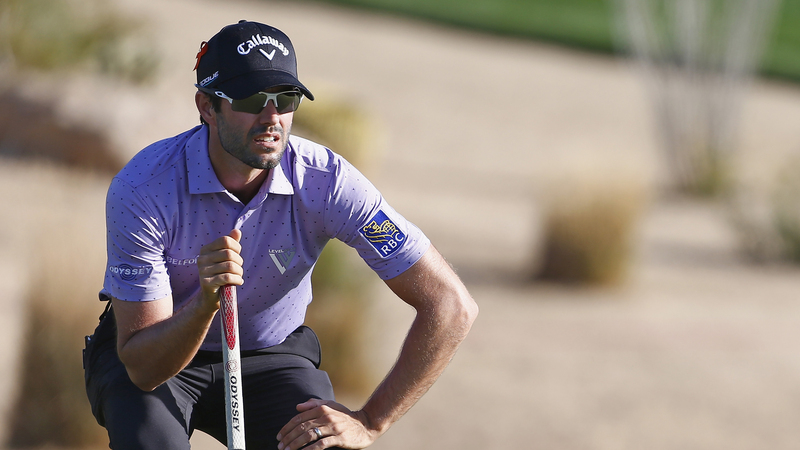 It was Coleman who fired the lowest round of day three. She carded a bogey-free, 5-under par 31 going out. Then coming in she stayed steady with two birdies and a bogey to complete a 6-under day. Meanwhile, Dodd found her way to a 5-under par round. Like Coleman, she also scored a bogey-free, 5-under par 31 on the front nine. Two birdies and two bogeys evened their way out from there. All in all, it was a Symetra Tour career-best showing for Dodd.